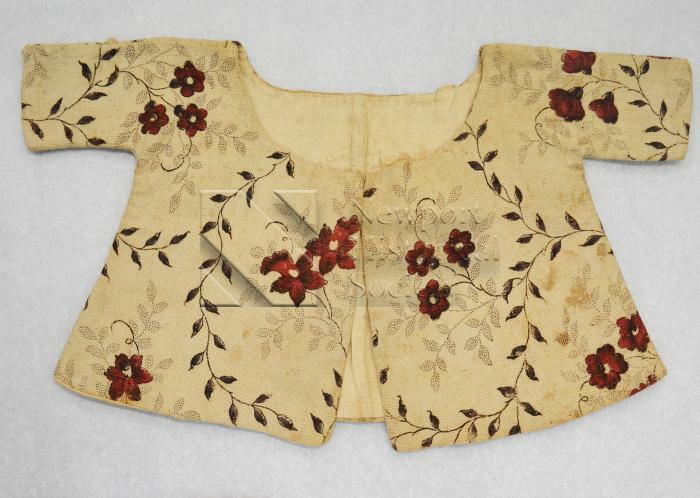 Infant's jacket with red and floral design on cream ground. Made from heavy cotton, lined with finer linen. Cotton is printed or painted.